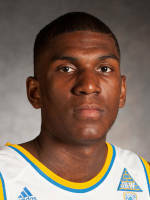 After Jahlil Okafor, Kevon Looney may have the highest upside of any other player in the draft. Physically, Looney has the tools to play both forward positions. He is an excellent athlete with a high motor who thrives on the glass. Rebounding always translates to the next level and Looney is the only freshman in America averaging a double-double. Offensively, Looney’s jump shot is solid and his range is improving out to the three-point line. He is also capable of getting buckets down low thanks to his rebounding and his ball handling skills are very good for a player of his size. Defensively, his length and athleticism allow him to guard multiple positions and he really locks in on that end. He averages more than one block and one steal per game and enjoys the challenge of locking down a player. While Looney is extremely talented and full of potential, he is still a very raw prospect at this point in time. He’s good at a lot of things, but not great at any one thing, especially on offense. His post game is lacking and he has no left hand to speak of at this time. His jumper, while improving, is still not to be relied upon and he has a slow release. As of right now, most of his baskets come from his work on the glass. He will also need to add some strength as he is very thin at this time and will need to bulk up to battle with some of the NBA’s premier big men. With his length, speed, athleticism, and all-around skills, Looney has a chance to become this era’s Lamar Odom. Looney is undoubtedly a project and may take some time before he is making a big difference, but it could pay off down the road. Looney is an impressive physical specimen and his rebounding and athleticism will carry him early. If he puts in the work he could be one of the best players of this entire class.